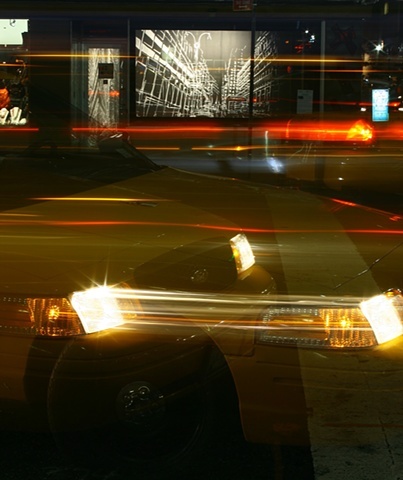 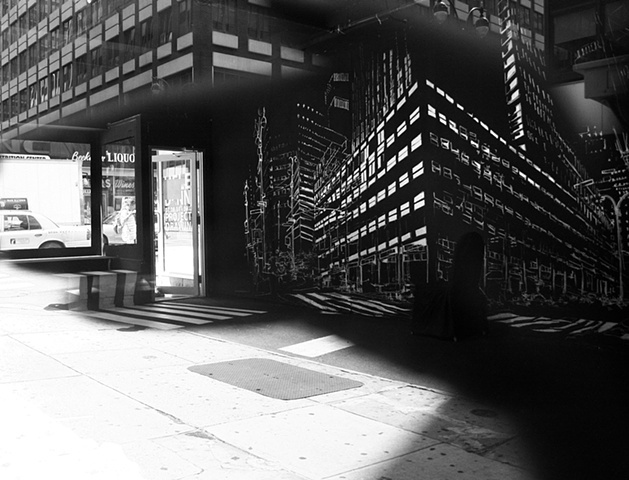 A site-specific installation of 47th St. & Lexington Ave. 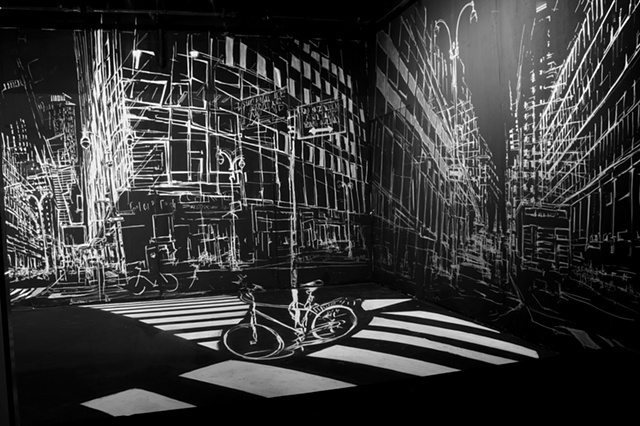 Projected Drawings unites the notions and essence of photography into a single large scale installation, filling the entire space of The LAB Gallery. 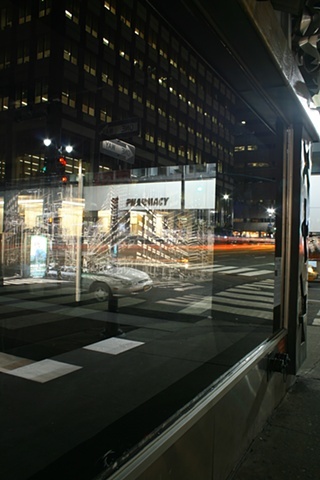 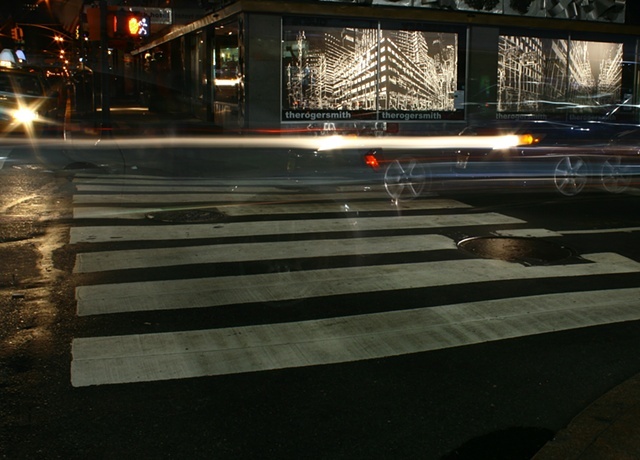 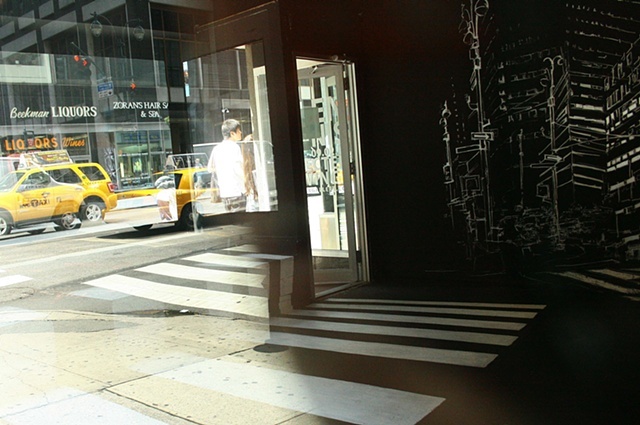 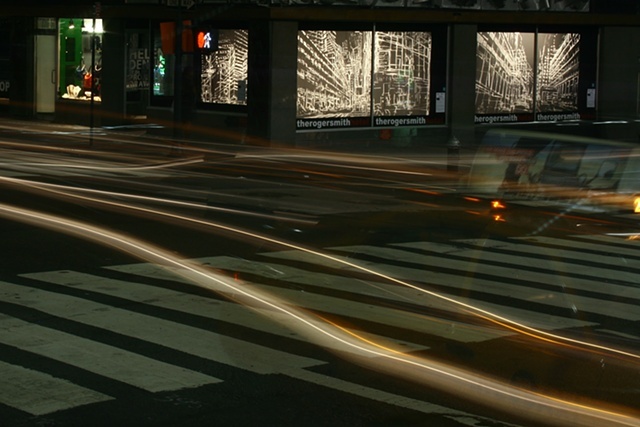 The imagery is a mirrored reflection of the intersection of 47th and Lexington Avenue, and creates a distilled inversion of the urban environment onto the gallery wall. 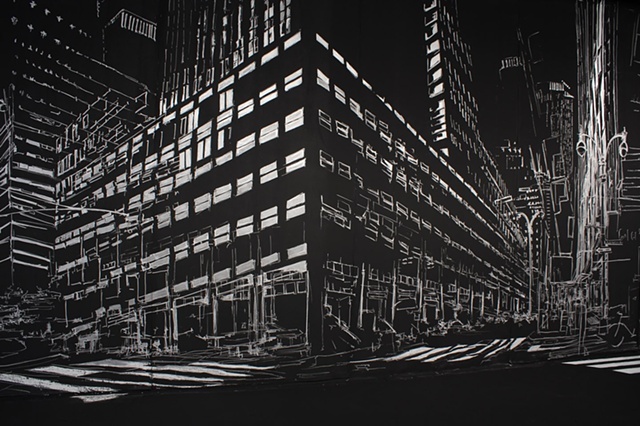 By day the image is created to interact with the strong reflections of the neighboring buildings onto the glass of the gallery walls; and by night the drawing becomes iridescent and is viewed form afar. 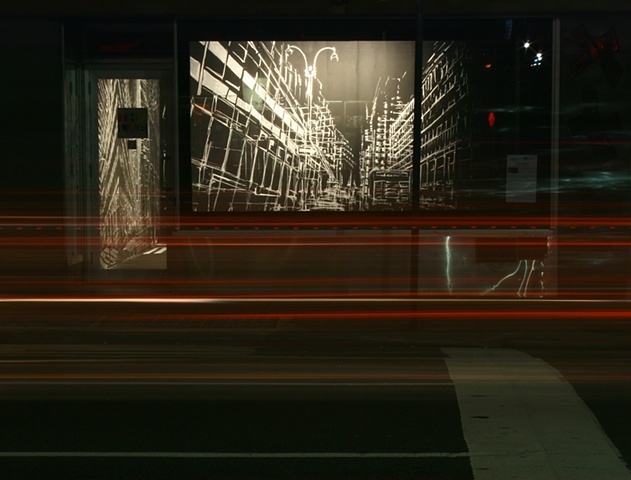 The installation to be viewed from the street 24hrs a day. 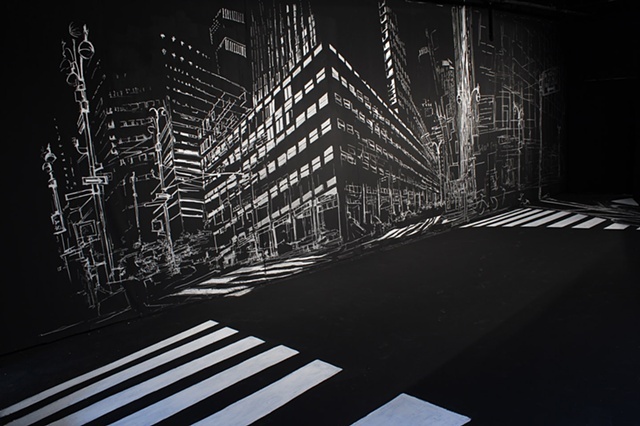 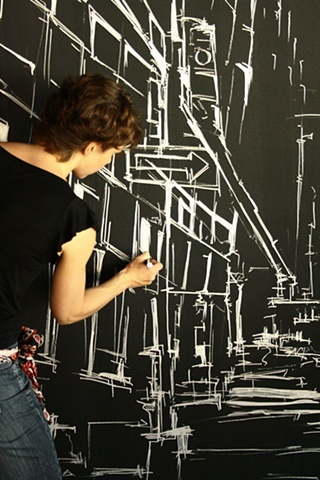 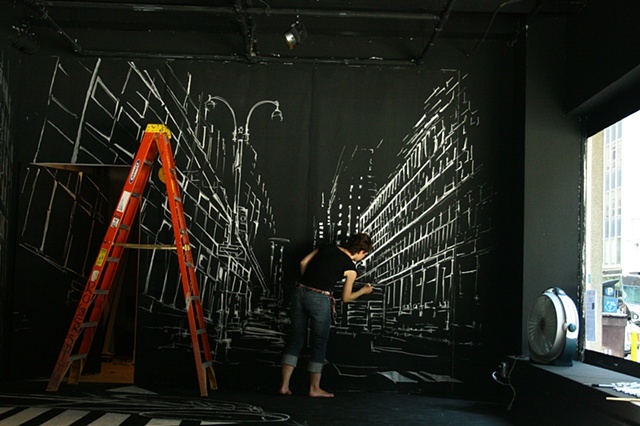 The piece is created using light reflective pens on a solid black surface. 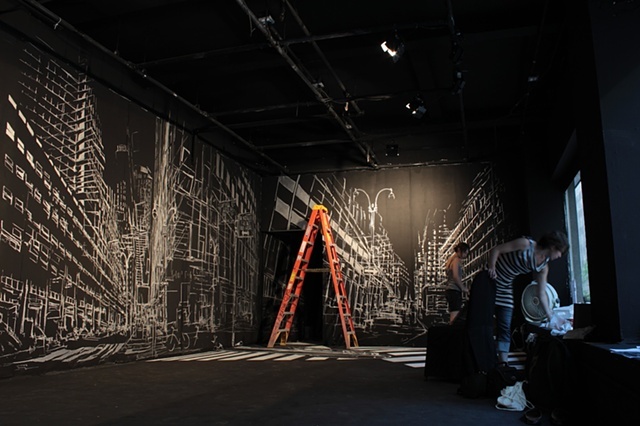 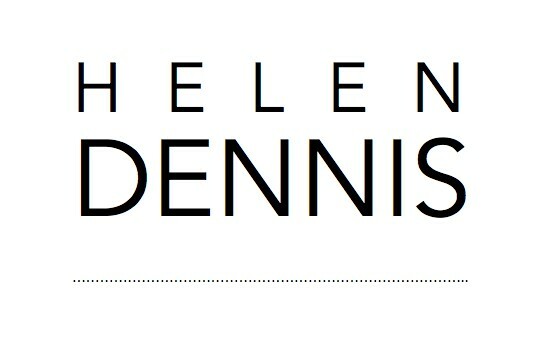 The lines will no longer be a bi-product as they are in Helen’s typical process of creating photographic drawings, but are the primary source of the image.